Umbrellas symbolised homeless people's need for shelter during a National Homeless Persons' Week barbecue. 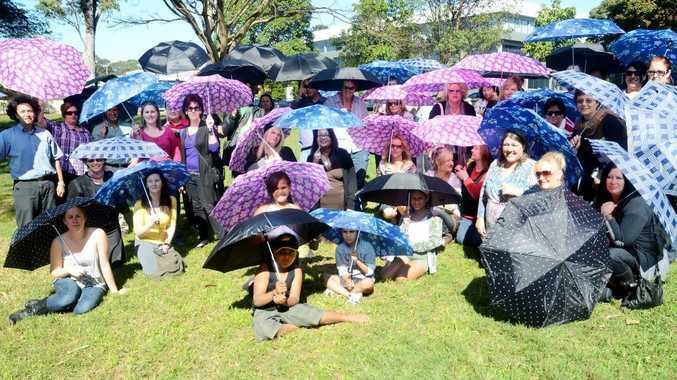 UMBRELLAS were held high in a show of symbolism at a barbecue for National Homeless Persons' Week yesterday. 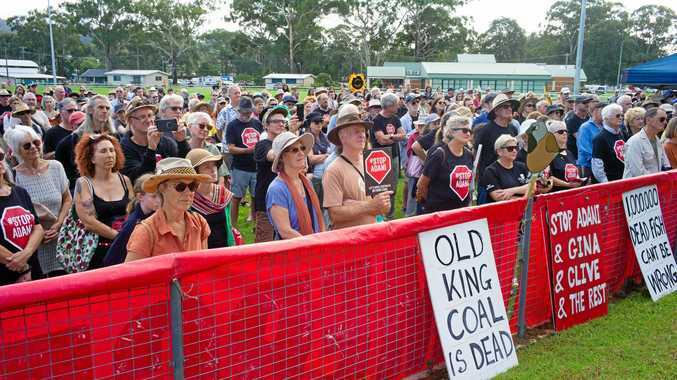 The spectacle highlighted that for a number of Coffs Coast residents an umbrella is their only stable shelter. Secretary of Homelessness NSW Meena Johnson said the event was designed to raise awareness of homelessness in Coffs Harbour. The barbecue at Rotary Park saw representatives from local support groups meet with those in need for a meal and music in the sun. Headspace youth worker Alison Heeley said she sees a number of clients who are affected by homelessness. “A number of factors contribute to the situation my clients find themselves in – the major ones being family breakdowns and mental health issues,” Ms Heeley said. This Homeless Persons' Week a huge emphasis has been placed on the Census (August 9) and need for the homeless to write “none” in answer to question 10, which asks for their place of residence. Census district manager for the Mid North Coast Alan Collopy said counting the homeless is a difficult task because “rough sleepers” are hard to find and the “secondary homeless” (couch surfers) often don’t specify their situation. “Government funding is determined by the Census so it’s important that we get it right,” Mr Collopy said. SHOW OF SYMBOLISM: Everyone huddled under umbrellas to highlight that for some people an umbrella is their only stable shelter.